Is your font library in need of an upgrade? 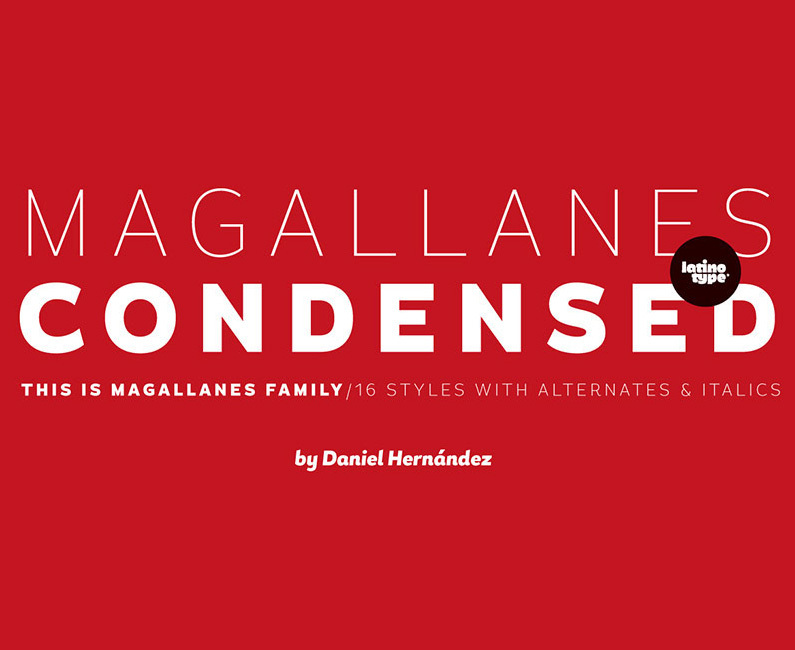 If so, you won’t find a better deal than this bundle of 20 professional level font families that contain 178 individual fonts between them. 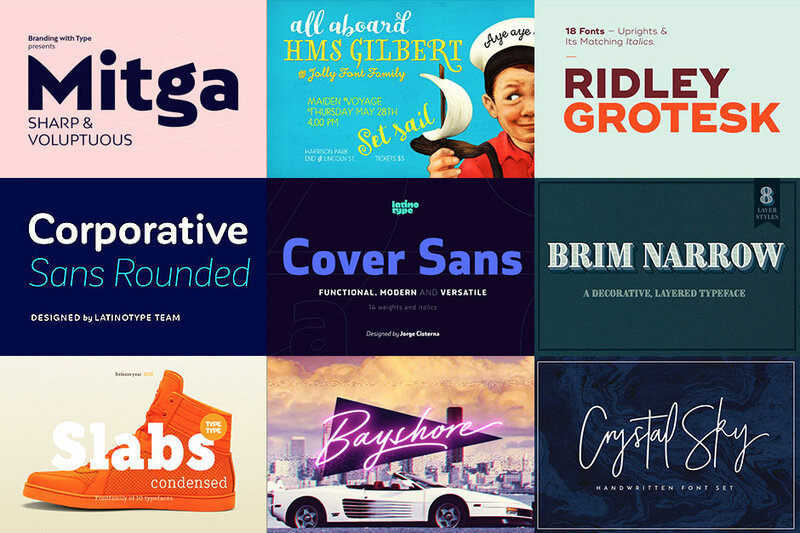 What’s more, this collection is discounted by 97% for a limited time, giving you the opportunity to acquire $1,067 worth of top quality fonts for just $29. There’s a good variety of typeface styles included, which means you’ll have some brand new fonts to choose from no matter what project comes your way! You’ll find serifs, sans-serifs, slab-serifs, scripts, and cursive fonts, all with multiple weights, styles and alternates, with many including bonus packs of additional creative resources. The quality of this collection is exceptional. It only contains fonts from the most experienced type designers, so you can be sure that each typeface has been created with expertise. If you’ve only ever used free fonts in your design work, you’ll see the difference immediately with the wealth of weights and styles, plus the advanced OpenType features that are available when they’re used in professional design software like Photoshop, Illustrator or InDesign. Have a browse through this collection and imagine the kinds of artwork you could create with them. 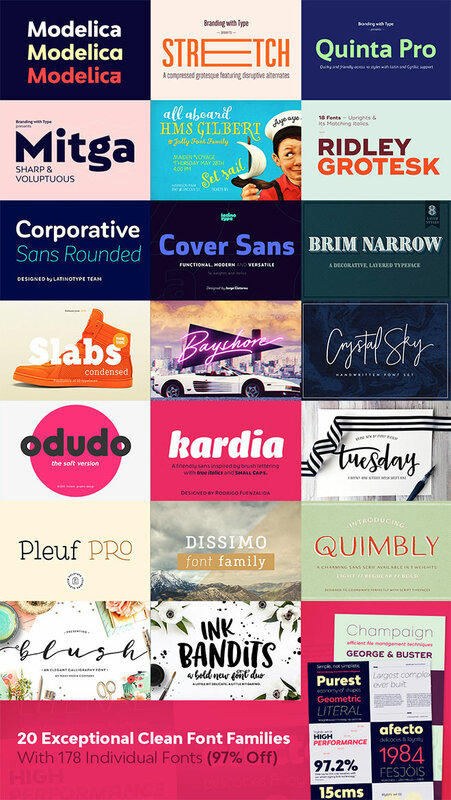 Even if you’ve only seen one font you wish you could own, you’re already getting your money’s worth with this bundle. 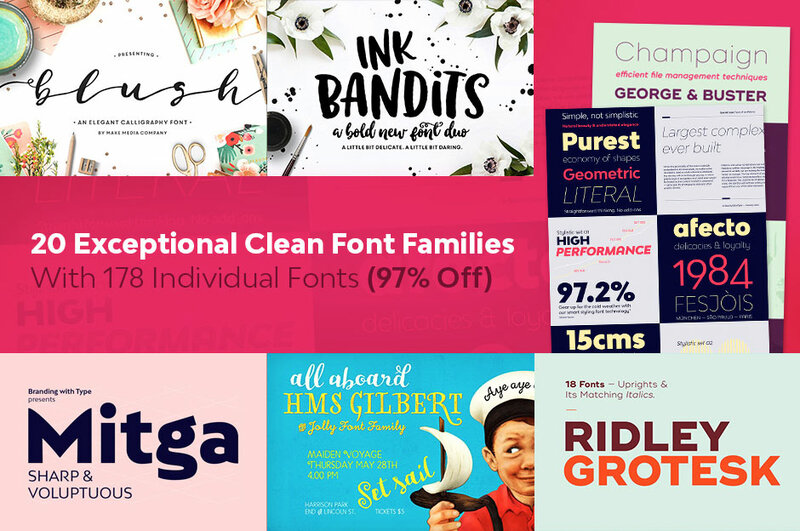 The 97% discount means you’ll see massive savings off the regular price of these fonts, so it’s a great chance to invest in some new tools and benefit from them for years to come. This bundle will pay for itself many times over as you make use of these typefaces in branding projects, print designs, website layouts and even just fun creative experiments! I’d highly recommend you check out the full overview to see details of each font’s language support and features. As if this deal wasn’t sweet enough with that massive discount, included in the price is full extended licensing, which gives you the complete freedom to use these fonts in your commercial work, and free web versions of every font so you can use them within website designs too. Nice collection of fonts Chris!! !